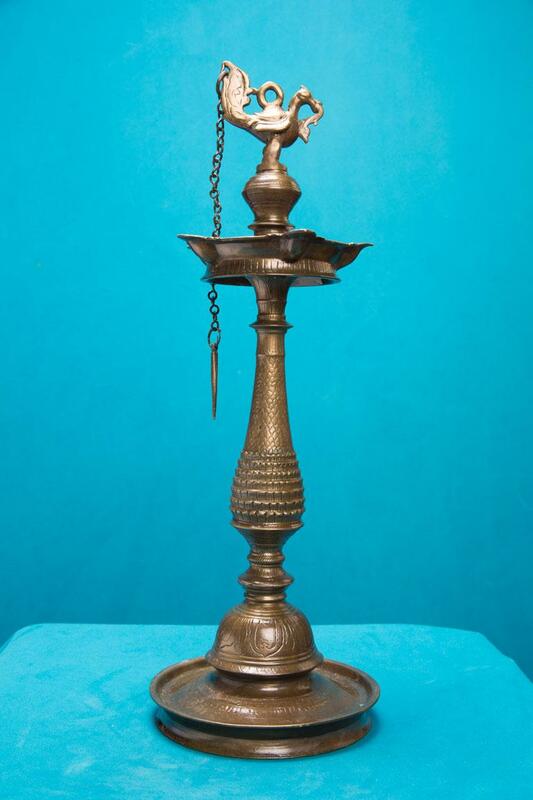 Nila vilakku is an impressive lamp in typical Kerala style. The present exhibit is in pineapple pattern. It has a lotus base and an elegant swan on the top. This seven-wick lamp has a rod with a chain hanging down.